the Canadian Embassy in Croatia had offered support for Franke’s art show. 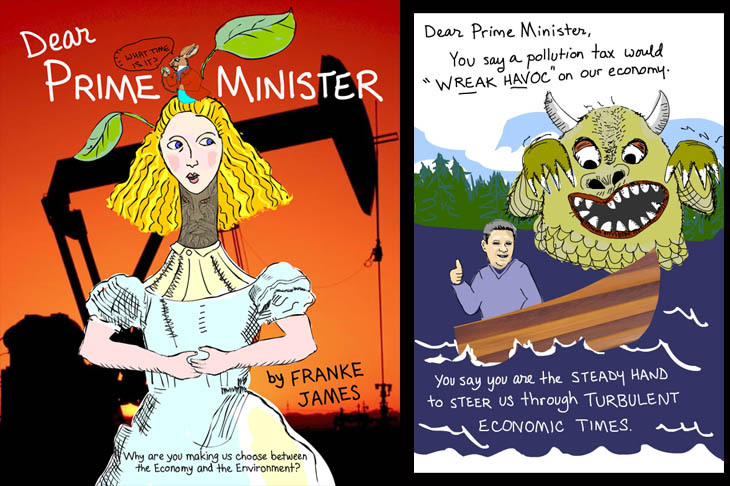 MAY 28, 2013: Please see my new book, Banned on the Hill: a True Story of Dirty Oil and Government Censorship, and the new Indiegogo campaign to get people talking about climate change — even the head honchos in Ottawa. 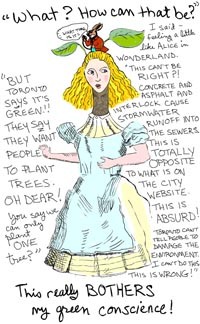 NOVEMBER 10, 2011: Please see the latest news about the Access to Information Documents and the billboard/poster show in Ottawa. Please read the post below to understand the petro-state politics that are underlying this censorship — and see how you can lend your support. At first I couldn’t believe it. Me? Blacklisted? What?! I’m the person who wouldn’t even build a green driveway without getting permission from City Hall! I believe in working with the system to change laws, not break them. How does it make sense to blacklist me? This is crazy! Since May 2011, the Canadian Government has been using underhanded, behind-the-scenes tactics to get my “What can one person do?” art show in Europe cancelled. Is the show being blocked because the Harper Government doesn’t want Canadians to worry about the tar sands, our largest and fastest growing source of greenhouse gas pollution? All I can think is that it’s a wee bit inconvenient for them if my work shows up just when the European Union is deciding on the EU Fuel Directive which could slap a “dirty oil” label on the Tar Sands. Or the CETA negotiations. Or maybe, they simply don’t want kids to learn how to protect the environment? Because that’s what the show is about. Is this the Canada we want? A country that cracks down on artists who speak up when they see a government policy that’s wrong, and that’s endangering our children’s futures? Dirty oil is making for dirty politics and it’s soiling Canada’s reputation – destroying the Canada we know and love. This climate change art show is a tremendous opportunity to make a difference. But it’s all at risk because of the blacklisting and interference by the Harper Government. I could use your help. Whatever nationality you are, and wherever you are in the world, you can help to spread the news of this shocking interference and blacklisting by the Canadian Government. It’s an abuse of power, and a threat to free speech and freedom of expression. In many countries, artists and writers are afraid to speak out for fear of being punished. But few would point the finger at Canada as that type of oppressive country. Sadly, I am being punished for speaking out. I believe this attempt to muzzle me calls for immediate and strong action. Please see ideas below on how you can lend your support. Leave your comment below about this blacklisting. PEN International and PEN Canada work to protect writers and artists right to free speech. Consider a donation. Lisa Borden at Borden Communications. I think Franke is a hero. Full stop.